Loop Reality has developed 10 to 20-minute games to understand if a candidate has the competencies required for a job. Employee retention is something every employer grapples with. With the average annual voluntary attrition rate in India currently being at around 13.1% as per a KPMG report, it is becoming imperative for employers to not only hire the right talent but also find ways to retain them. As a result, hiring today is not just based on job skills, but also their interests and finding the right fit for the organisation’s culture. As a result, once hired, companies are increasingly focusing on improving employee engagement through rich candidate experience and right learning programmes based on their skill gap to improve attrition rates and keep the current generation interested in their job for longer. 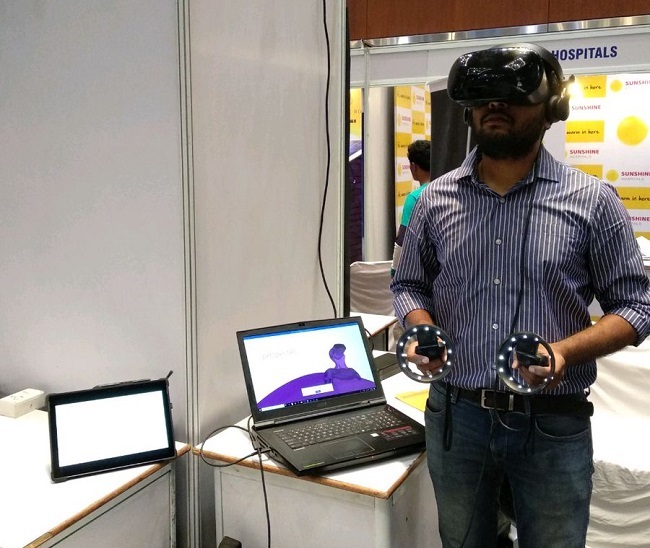 When Hyderabad-based virtual reality startup Loop Reality was on the path to pivot from being a VR-based fitness solutions provider to offering VR-based assessment for hiring and employee retention, they did an extensive research. The research showed that understanding a person at a physical and mental level, with the help of VR, could play an important role in enterprise talent management. “Earlier, hiring was all about programming languages like C, C++ and JAVA, because those skills lasted as hot technical skills for a long time. But today, no skill remains hot for longer than two to three months. That is why the focus has shifted from ‘What you know’ to ‘What you can learn’ and ‘how quickly and easily can you do this’. In fact, as per World Economic Forum report, by 2020 the hot skills will include complex problem-solving, people management, emotional intelligence and cognitive flexibility, among others. Most of these skills cannot be easily measured in a paper-pen test, especially when administering these tests to the tech-savvy Gen-Z (born after 2,000), who cannot be easily engaged due to their low attention span and need for instant results,” explains Jignesh Talasila, co-founder and CEO of Loop Reality. 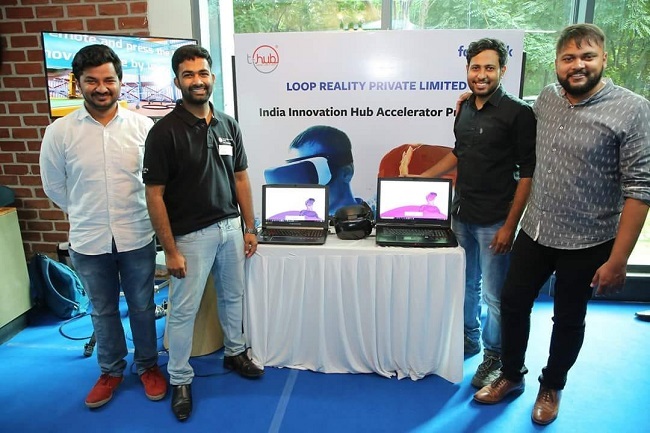 When Loop Reality first started operations, the founding team, comprising Jignesh Talasila, Suraj Vanka, Ravitheja Muthu, Karthik KV and Raviteja Koneru, developed an IoT-based virtual reality device connected to a stationary bike. In addition to offering the user a great riding experience, it also would help them keep fit using VR, IoT and analytics to calculate calories burnt and heart rate, and also give the whole statistics of what one needs to work on more, in terms of fitness. But the Indian market was not ready for a VR-based fitness-based product and the cost it entailed. That is when they decided to pivot, which is a shift in strategy. Having been in the VR space for over a year by then, most of Loop Reality’s revenue was coming from consulting multi-national companies (MNCs) in creating their internal proof of concept (POC) using VR. This consulting work helped the team realise that the true value of the technology is in learning and development. “The L&D space today typically comprises Diagnostics and Development. While development content is mostly industry-specific, a large part of diagnostics content is generic. So, we decided to go with diagnostics. When we shared our research with our mentors, we immediately got their support. We went back to the basics to see if we can assess and train employees in VR. We did a lot of research, tapped into psychology, understood the science behind it and realised that we could do something by understanding the physical and cognitive abilities along with the personality traits of a person through VR. 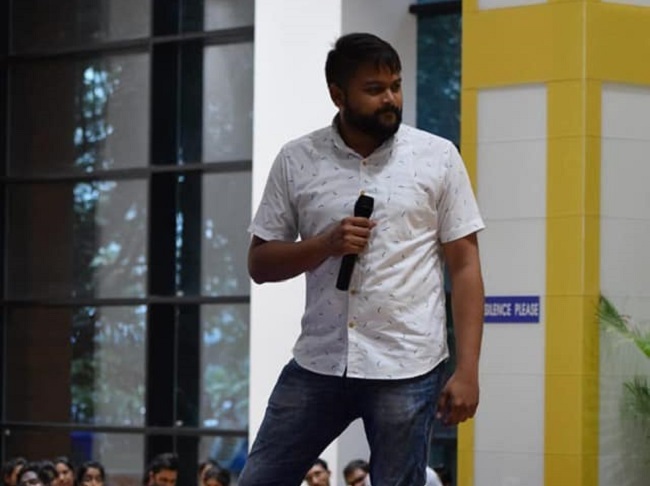 In October 2017, we pivoted and started working on our product called PerspectAI,” Jignesh adds. PerspectAI is VR solution, which is about understanding a person. If one can assess a person’s sensory and psychomotor abilities on a physical level, cognitive abilities at a mental level, assess their personality and behaviour, the data can be used to truly understand them. Loop Reality has developed 10-20 min modules in the form of games and simulations using a multi-dimensional approach to understand if a candidate has the competencies required for the job, and if not, what is the gap and how this gap can be bridged. PerspectAI is an automated system, where an employer can simply select a module and have the employee or prospective candidate take the test and generate a report. This report helps the organisation understand the candidate’s abilities without any bias, thus increasing diversity and eliminating decisions based on just instincts. To validate its product, Loop Reality ran pilots with over 20 companies, testing it on various roles and levels– right from startups to government organisations and MNCs. It officially launched its product in the market during Nasscom HR Summit and HYSEA Annual Summit on July 27, 2018. Loop Reality currently has several paid clients from its pilots and is working with large organisations, including PWC, Payswiff and the government of Andhra Pradesh. PerspectAI is working with the Andhra government understand the abilities of students coming out of colleges and help them find the right job. For Loop Reality, revenue is generated from deploying its products to clients. Pricing depends on the level of usage – whether it’s being used at an entry-level, mid-level or senior-level and the purpose it is used for – whether it is for recruitment, for gap analysis or employee development. “The pricing is determined based on these parameters. But it is on a per-user license basis and starts from Rs 500 to Rs 25,000 per user,” Jignesh adds. At present, Loop Reality hand-holds its clients to understand how to interpret the reports generated through the games and make the best use of the report. Jignesh says that they are working on making the interpretation automated using AI and chatbots. As Loop Reality looks to capture the Indian market with PerspectAI, its next step is to create a module repository for different domains such as sales, HR and industries like Airlines and Oil and Gas, to make deployment faster and simpler. Once it captures the Indian market, the next step will be to go international in two years. The company is also looking at developing mobile games and applications that companies can use during mass hiring, including campus recruitments, which will help them understand similar traits, but faster and cheaper than requiring a VR setup. “The idea is to go beyond paper-and-pen tests. It won’t just be about resumes anymore,” Jignesh adds.